low calorie weight loss basic recipes. Basic recipes means the recipes which are added as an ingredient to another recipe. It can be a paste, sauce or even a stock. Other basic ingredients include Low calorie Brown Bread, Low Cal Mayonnaise and Low Calorie White Sauce. High calorie and high fat ingredients like peanuts, coconut, and cashews should be avoided while making gravies for weight loss. Here in our Basic Recipe section we have carefully included recipes which have negligible amount of oil and are healthy to be consumed by people on a weight loss diet. Basic gravies can be prepared to serve as a base for make lip-smacking recipes. Try our recipe for Basic Makhani Gravy which will give a restaurant like taste to your recipes like Paneer Makhani and Mushroom Mutter Makhani. All you gotta keep in your mind is to use less oil and healthy ingredients like low fat paneer, carrots, capsicum and tomatoes. Prepare Basic Kadai Gravy and give a yummy treat to yourself without causing harm to your diet. Zest up your veggies with this Basic Coriander Green Gravy. It can be used as a base for cauliflower gravy, mix vegetable gravy and paneer based dishes too. Gravies are incomplete without the spicy paste which gives them a specific flavour and texture. One such paste is Ginger Garlic Paste which is used in umpteen number of recipes, such as in the making of snacks and starters, subzis, dals and kadhis etc. Boiled Onion Paste is used commonly in Mughlai cooking, imparts not only an intense flavour but also a creamy and rich texture to the gravies it is used to prepare. This flavoursome Red Curry Paste is sure to add zing to your dishes like kofta curry and other red curries. Likewise this Green Paste will add a magic touch to your green gravies and curries. 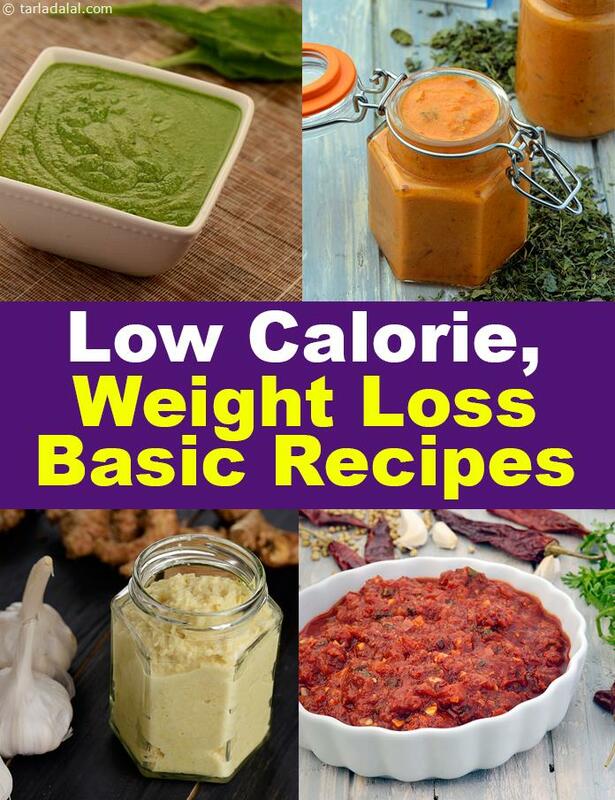 Enoy our low calorie weight loss basic recipes and other low calorie recipe articles below.